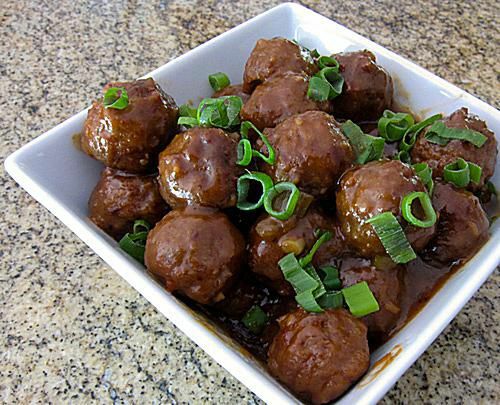 Pineapple flavors the sauce for this dish and chopped water chestnuts give the meatballs a little crunch. Shape into 1-inch balls and brown on all sides in oil. Combine sugar, beef bouillon, vinegar, cornstarch, and 2 teaspoons soy sauce in a large deep skillet or Dutch oven; bring to a boil. Boil sauce mixture until thickened; stir in pineapple, green pepper, and meatballs.